A woman’s bag is a storehouse for everything she holds dear and nothing can give her more confidence than an immaculate handbag complementing her attire. With a variety of styles doing rounds in the fashion world, picking a bag that stores your essentials while adding a finishing touch to the overall ensemble is not as overwhelming as it may have been before. 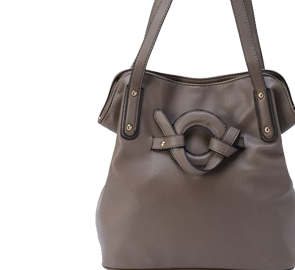 A stylish Tote handbag with its spacious interior and classic shape does the deed for you. While Tote Bags have been in existence since the 1800s, they only gained popularity in 1940s when L.L. Bean – an American mail-order, online and retail company – released canvas Boat Bag making luggage easier and comfortable to carry. This style has evolved tremendously ever since, from being a utilitarian item to a much-adored fashion accessory. Today, owning a Tote Bag has become elementary and TJC brings for the fashion-savvy women in the UK and Europe an eclectic collection of the same. Flaunting various textures, materials, prints and patterns, Tote bag is quite a versatile accessory accentuating formal and casual looks alike. A designer Tote handbag with metal accents on the straps and unique patterns like laser cut checks, embroidery and diamonds can easily be transitioned from day to night. TJC’s select collection of genuine leather Tote bags is sure to delight you. Ranging from handbag sets with shoulder bags or small pouches to adjustable shoulder straps and snake or croc-embossed classic Totes, we have every style you will ever need. Wear them on the arm or across the body they will give a sharp and crisp finish to your look. Carry the bigger ones to the beach with you or carry them for weekly shopping or a brief weekend trip, these Tote bags will garner you some envious looks from the onlookers. Available in the trendiest colours like cherry, beige, tan and brown, TJC’s Tote handbags are must-haves for you to stay up-to-date with latest fashion trends. Blending style and necessity, all our handbags are lightweight, inexpensive and carefully handpicked for the gorgeous ladies of UK. Indulge in luxury designer pieces or everyday chic pieces, all at the most incredible prices. The kind of handbag a woman carries is a very strong representation of her taste and personality, make sure the one you carry does justice to your unique persona. Treat yourself or a dear friend with an exceptional piece from TJC today!